Slingshot Braves is a quaint little action-rpg game that has great anime style art and some cool in game graphics. This is a different rpg experience compared to what some may be used to, but in fact that’s what makes it so appealing. The game starts you off with a tutorial battle to get you familiar with the controls, which at first seems pretty basic. You simply tap on the circle that surrounds your character and drag back as much as you can, and let go to slingshot them forward into the enemy for attacks. It’s actually quite fun and puts a different spin on things. In slingshot braves, you must search for an ancient weapon to help you defeat the invasion of demons that are on the rise and ravaging towns. During your quest you’ll meet some friends, and you’ll encounter many foes, but nothing a gamer like you can’t handle right? As you slingshot back your character in battles you’ll have the chance to aim him/her with precision. You can also try and predict your enemies movements, and yes they will move so sometimes your hits might miss. That is unless you plan your attacks carefully. You attacks will also sometimes cause your character to bounce off other enemies or walls, letting them come back for another attack and causing combos for more damage. Just like the games description says, the wonderous marvel of the interwebs allows you to play Slingshot Braves with friends. You can team up and engage in glorious battles together against a common enemy, or you can fight alone for victory against other players. Whatever you choose to do, the possibility of some sweet epic loots is at your fingertips. Not happy with your current items and weapons? No matter, find the necessary materials and craft a new weapon with which to lay down the hurt and smite those who stand against you. Full 3D graphics and real time connection make this one of the better online rpg’s out there and it’s tons of fun. Slingshot Braves is a great display of what some games should be, which is an experience that leaves no room for disappointment. Slingshot Braves is a free game and offers IAP, but thus far I haven’t seen any need to spend any money. The game seems fully enjoyable without having to spend a dime. 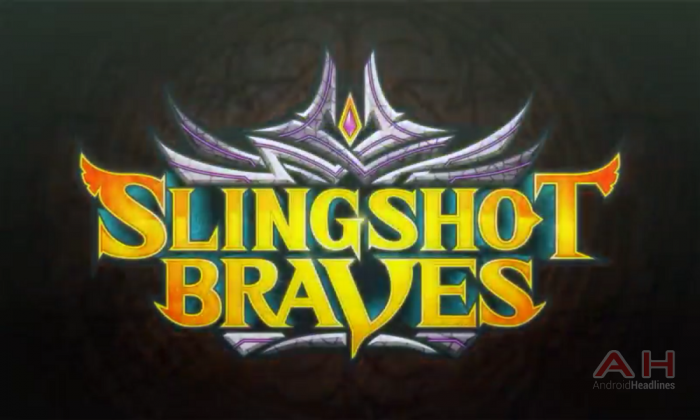 The post Android Game Of The Week: Slingshot Braves appeared first on AndroidHeadlines.com |.